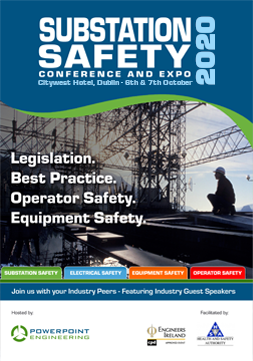 Substation safety awareness has been gaining prominence, have a read through this in-depth look into several aspects of substation safety, primarily focusing on personal protective equipment (PPE) essentials, risks, danger-tackling tips and training requirements. Personal protective equipment is an integral part of substation safety requirements. It serves to provide adequate protection against hazards of different severity levels that personnel are likely to be exposed during their routine jobs at the substation. It is the responsibility of the employer to accurately assess the various risks in the work environment, determine their severity and accordingly choose PPEs that offer the best protection. The choice of PPEs must be based on the findings of the most recent arc flash analysis and risk assessment exercise to provide effective cover. 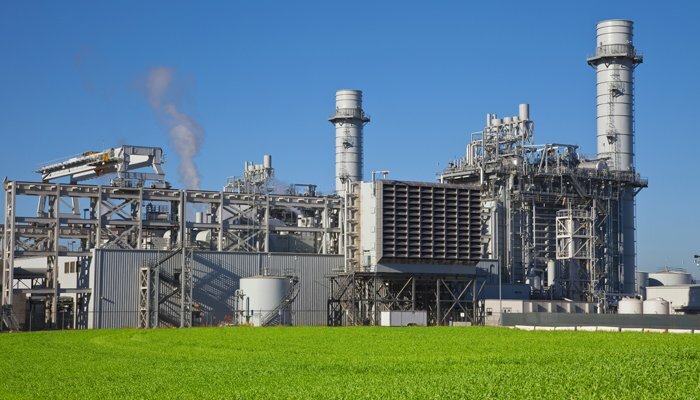 Batteries and other chemicals that find use in substations pose a chemical hazard in the environment, which may require the use of respirators and other chemically resistant PPEs, clothing, gloves and footwear to safeguard personnel. Special safety equipment designed for use in confined/cramped spaces, barricades, scaffolding, gas/smoke detectors must also be available on demand. 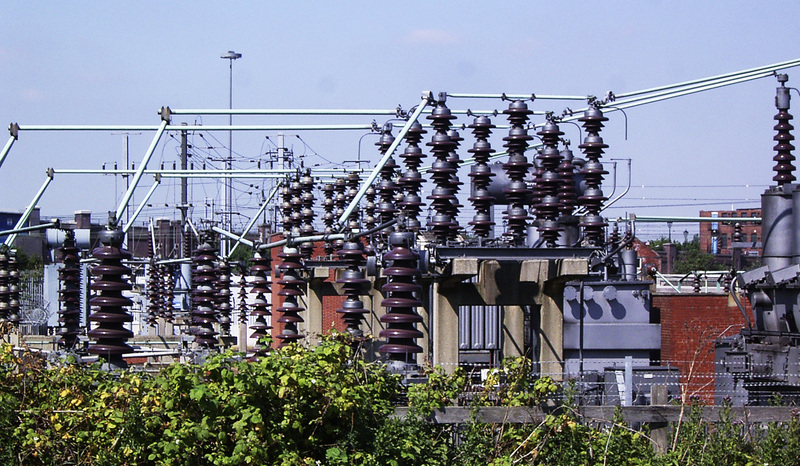 Potential electrical hazards at a substation are not to be taken lightly. While all danger areas and high-voltage equipment/installations are usually enclosed, shielded from access or prominently labelled, there are several other imminent hazards throughout the place that need to be tackled on a daily basis. Not all live transmission lines, equipment or components within the substation are insulated as in conventional wiring. Accidental contact or even breaching the recommended minimum access distance can prove quite dangerous in certain areas. 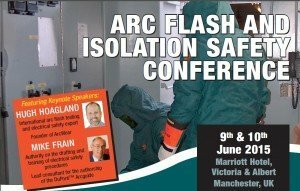 Even insulated components/parts are likely to be energised during an arc-flash, posing a serious safety threat to those in contact with the component or in the path of the arc, and not adequately protected. Residual energy in certain parts of de-energised equipment is another latent threat that catches people off guard. Actuators and springs in the breakers may not be fully discharged even after power supply to the equipment has been shut off, making the use of recommended PPEs mandatory to avoid undue surprises. It is important for personnel to keep in mind the PPEs do not totally mitigate the impact of hazards and are not replacements for safety protocols and procedures. De-energising equipment (risky in few cases), maintaining prescribed clearances and remote operations wherever possible are bound to ensure safe working conditions. Donning an arc-flash rated suit will at best reduce impact of the incident and, hence, the overall severity of injuries – only if adequate precautions are taken and safety procedures followed. Substation workers must strictly adhere to safety regulations and use the right PPEs that offer best protection against risks involved in a specific task. This is to safeguard themselves from imminent hazards to which they are likely to be exposed. Complacency can prove fatal. Even the most experienced and qualified personnel on site may not be able to anticipate an arc-flash. It is never safe to enter the work area without adequate precautions. Customary inspections are mandatory to ensure de-energisation and grounding. It is mandatory to maintain the recommended clearance from live units, wear the necessary protective garments and gear, and follow instructions meticulously when inside the substation. Workers must take time to carefully inspect the PPEs before use, report damages if any, and get the units replaced/ repaired/ tested for safety. PPEs, along with comprehensive safety regulations, go a long way in protecting substation personnel in their daily work routine. Ensuring a safe work environment, in practice, is a mutual responsibility of both the employer and employee. Safety procedures formulated to meet requirements outlined in NESC and other standards go a long way in making substations more secure against known hazards and triggers. Considering the fact that the entire premise is rife with potential electrical and chemical hazards, even the slightest negligence can prove damaging. Careful analysis of general and location-specific risks factors is a must to draft a comprehensive safety routine. That done, regular training and communication is crucial to ensure that the safety norms are followed without any slip-ups. While most of the safety practices stem out of common sense and practical learning, some potential problem areas may skip attention. Let’s take a look at some of the important safety measures that can minimise high-risk security threats commonly encountered in substations. Minimising safety threats from the outside environment is a key concern that needs attention. Installing metallic or non-metallic fences along the perimeter is bound to prevent incidents of trespassing, deliberate scaling, stray animals foraying into the premises, and more importantly, children gaining entry into the area. Washouts and structural damage to enclosures require prompt attention. Use of appropriate warning signs on the fencing is recommended. NESC requires such enclosures to be seven feet or more in height, and permits use of both fencing material and strands of barbed wire (three or more) to achieve this height. NESC also emphasises the need for sturdy temporary fencing, in case the permanent structures require extensions or repairs. Substations are not intended to support visitor traffic. It is possible to prevent or reduce the possibility of accidents by either restricting or totally prohibiting visitors from entering the place. In unavoidable circumstances, visitors accompanied by experienced personnel can be allowed access, but with the necessary safety precautions and PPE. It is important to monitor and guide vehicles entering a substation to ensure that there is sufficient clearance between objects on the roof of the vehicle and the overhead lines and elevated equipment within the substation. Vehicle drivers must proactively ensure safe navigation as well. Similarly, the operations of mobile hoisting equipment and cranes also need to be supervised and controlled by substation personnel. Substations also tend to double up as storage for equipment and other material that find use in the environment, leading to at least a couple of unwarranted risks. It not only increases footfall in the area as materials get shifted in and out of the facility, but also lures thieves on the lookout for expensive electrical components/ equipment. Not everyone entering the substation in such cases are fully aware of the dangers they are exposed to and accidents that they can accidentally trigger. Prohibiting equipment storage in substations can prevent undue accidents. Battery storage rooms are also known to be the sources of chemical hazards, and are best secured with authorised access. While it is important to ensure the storage areas are well-ventilated, regular maintenance helps detect units that need replacements, recharging or address gas, caustic or acid leaks common in batteries. Use of PPEs is mandatory when working in a substation. Flame retardant/ arc-rated/ chemical resistant clothing, gloves, safety glasses, shields, face masks, hard hats, and steel-toed shoes must be an integral part of the PPE collection made available for workers. The infrastructure on the other hand must house gas detectors, scaffoldings, and rescue equipment to assure the safety of the occupants. Understand the safety threats that abound in the work environment. Appreciate the importance of PPE, use and maintain each piece in a proper manner. Know how each equipment functions, what parts are energised and what voltages, clearance requirements, risk involved and levels of protection are required to work on the equipment. Be cautious even when around de-energised equipment. Conduct routine inspections to ensure that the area and equipment are safe for use prior to each task. Maintain the prescribed clearance from each type of equipment, and handle operations remotely if the option is available. Use suitable protective clothing and equipment as warranted by the severity of the risk involved in each task. Despite the best of precautions and practices, there is always a possibility of security breach. Installing security equipment such as cameras and motion sensors in vantage points not only help deter or thwart unauthorised access and break-ins, but also track the movement of personnel and equipment to ensure safe operations and maintenance. It also pays to keep potential high-risk zones brightly illuminated. With safety practices in place and training conducted, it is the responsibility of each worker to strictly adhere to safety norms to first protect themselves and keep a watch out for their co-workers as well. Safety practices, however, will need to be regularly reviewed and refined not only to improve their effectiveness but also whenever there is a change in infrastructure or operating conditions. Studies show that over 85% of disruptive failures in high voltage (HV) and medium voltage (MV) equipment are Partial Discharge related. Partial Discharge action ultimately leads to failure. Our PD testing service does not require shutdown and is the best way to plan maintenance, repair or replacement activities in a cost effective and efficient way. Insulating rubber gloves offer workers that work on or near live wires, personal protection against electrical shocks. 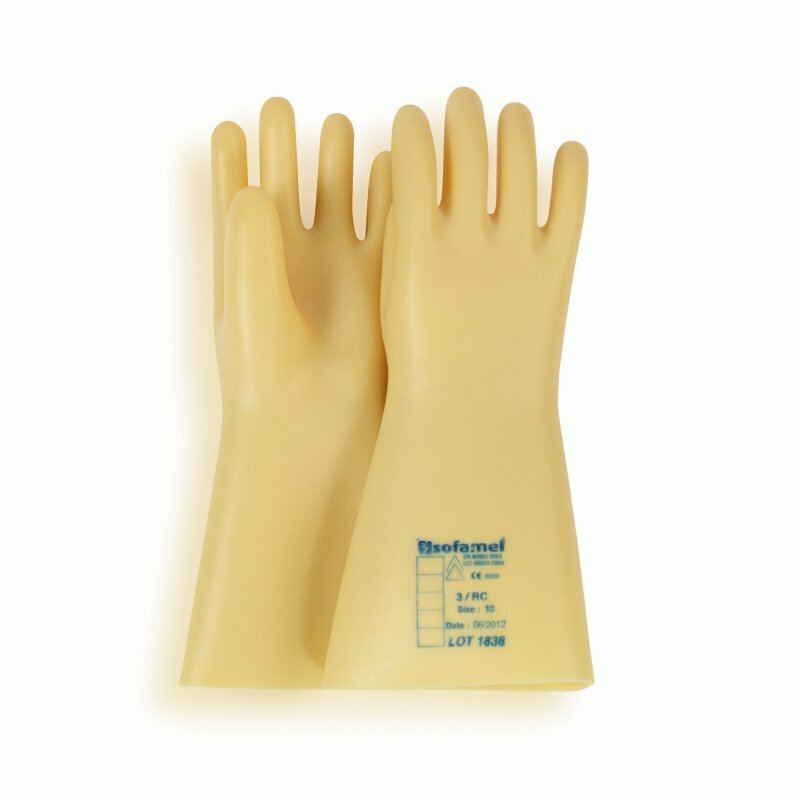 Insulating rubber gloves undergo a range of voltage, ageing and mechanical testing which ensures that they comply with IEC 60903 and EN 60903 standards. Powerpoint Engineering Ltd are pleased to announce that we will be hosting a 1 Day Seminar on Thursday, 15th October in Portlaoise. By acquiring glove re-testing cabinets, Sofamel aims to offer our clients with improved after-sale services for dielectric insulating gloves. 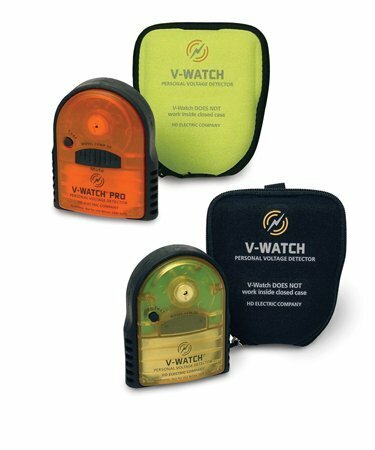 Announcing the release of the new V-Watch Personal Voltage Detectors, now available on Substation-Safety.com. 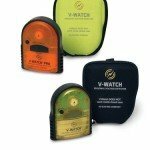 V-Watch Personal Voltage Detectors – It can save your life. It’s that simple. 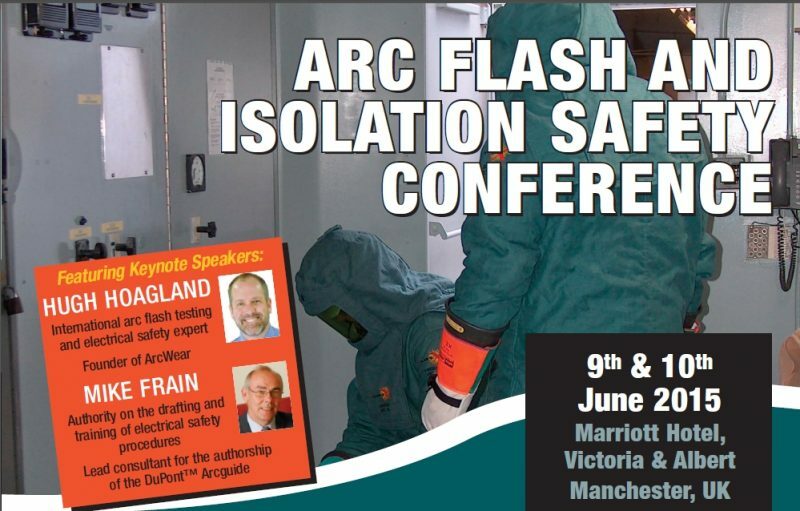 LockoutSafety.com, a division of Powerpoint Engineering, are delighted to announce that we will be presenting at the Arc Flash and Isolation Safety Conference on the 9th and 10th June 2015, at the Marriott Hotel, Victoria & Albert, Manchester, UK.